With passing time, we have started using our smartphones more than laptops and computers. And this is the exact reason why virus creators have also started targeting your smartphones as they are full of useful information, which can be easily exploited. Smartphones could contain personal financial and work/business information of a user. You may feel that your device is totally secure till the time you see some scary pop ups or some ugly error messages. In addition to this, you might also see warnings on your Android device such as “your system is heavily damaged by four virus”. There can be different methods to remove this type of virus but it depends on how deep this virus is resting on your device. Sometimes these tips may work for you but sometimes you may need a third-party application. 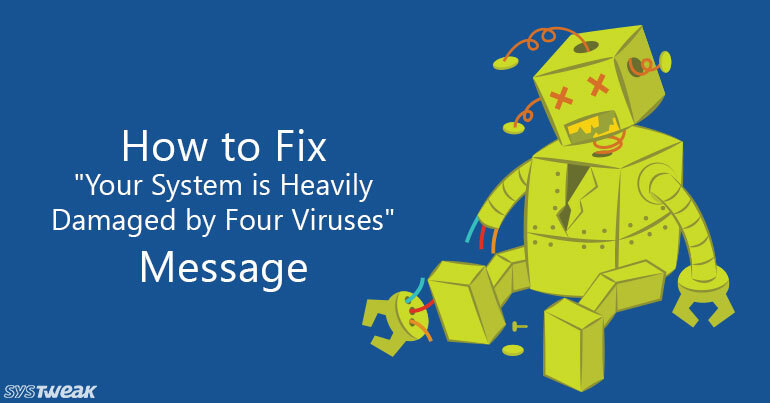 Let us begin with some basic methods to fix “your system is heavily damaged by four viruses” error message. Clearing browsing data and cache. Because you are getting this error message on the browser so clearing browser data can help. Here is how you can do this. Move to Settings > More Application Manager find the browser on which you are getting this virus alert. Tap on the browser and tap on the Force stop button. When application stops completely then tap on Clear Data. After this tap on clear cache it will clear temporary files of your browser. After this restart your device before you open any website. Check if you are still getting the same virus alert. Proceeding further you can try deleting third party applications. If you are using a third-party browser and getting this error message only on that particular browser then you can try uninstalling and reinstalling that web browser. If you have recently installed any application from unknown sources then it can also be a reason you are getting this virus alert on your phone. Device administrators and unknown sources permissions should always be disabled. Here is how you can check these settings. Here you should check that Device administrators and unknown sources should not be enabled. Using a virus remover application to fix “your system is heavily damaged by four viruses”. If you do not want to get into the deep details of manually finding and cleaning malware then you should go for the Systweak Anti-Malware. All you need to do is to download and install this app and to go for full scan. Leave rest of the things on the application. It is capable enough to detect and delete virus. You can download and install this application for free from the below. once you are done with download and installation process you can go for full scan from the home screen of the app by taping on “Scan now” button. This will help you to remove malware easily from your device and not only this the application also let you know that which applications are safe and which you should uninstall. This is how you can fix “Your system is heavily damaged by Four virus” error on your Android phone. Using Systweak Anti-Malware is a better way to do this instead of messing up with settings. Make Pixel 2’s Colors More Vibrant With This Simple Trick! Newsletter: Apple Tries To Be On The Safer Side & Play Store Can’t Keep You Safe?